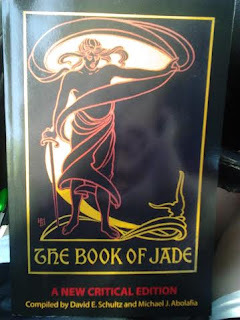 Kyle introduced me to the Book of Jade, which the majority can be read on it's website, and I immediately saved it to my bookmarks where I would often open it up and read it a little everyday. I loved it so much that I had to get the print-on-demand copy. Once I acquired I read the whole thing immediately in one sitting. 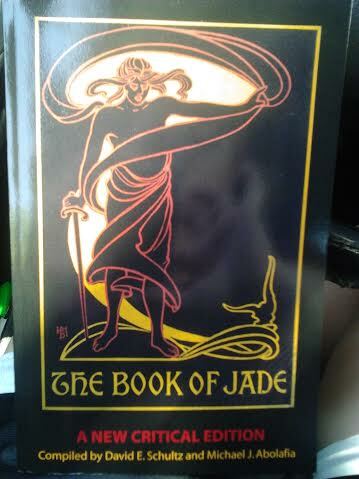 His dark, Gothic verse instantly lured me in and I was happy to add it to my poetry collection. 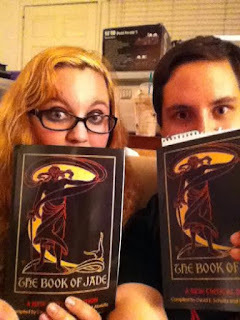 When I heard Hippocampus Press was making a new edition and calling for submissions, I was excited. I was also happy that Kyle was going to write an essay for it. I was not going to write one at first because there isn't much known about the book and the author as I mentioned above. 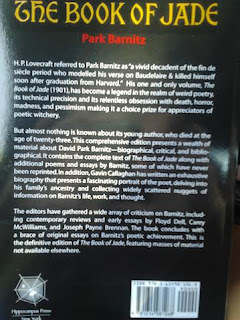 But as I considered this, I realized that the Book of Jade and David Park Barnitz were obscure and maybe I was one of the few people who have read this and admired the work therein. So instead of focusing on the author, I focused on my favorite poem, the Grotesques, or should I say "crown of sonnets comprising [of] four sonnet-length stanzas that come as essentially four slightly different variations on the same sonnet, each echoing lines and phrases from the others," (Chuck Caruso, PhD., 274). 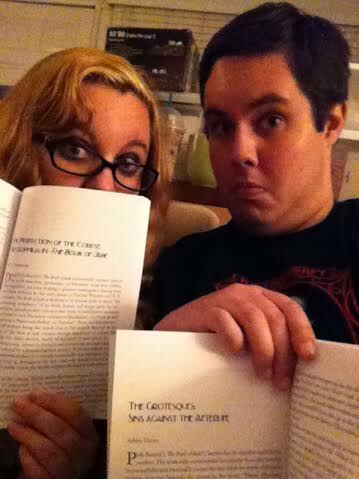 Then my essay, the Grotesques: Sins Against the Afterlife, was born. It is a rather short essay covering Park Barnitz's views of the beauty of the corpse and the lack of an afterlife in that poem. I think it is a rather interesting yet unconventional essay, especially among the majority of the other critical essays inside, but Park Barntiz was unconventional during his time so I feel it is fitting! 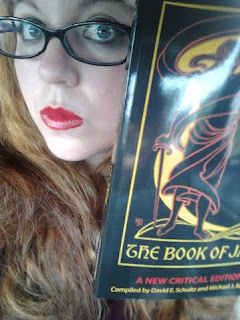 Well I cannot speak of the beauty of the corpse without mentioning Kyle's essay, the Perfection of the Corpse: Necrophilia in the Book of Jade. 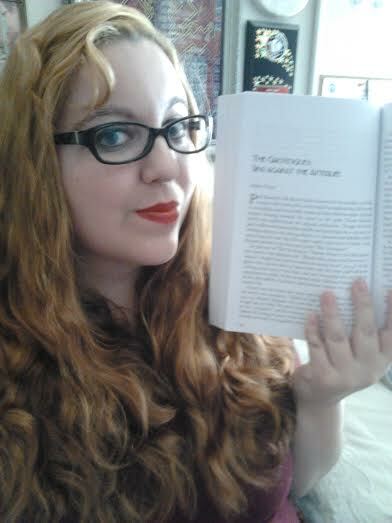 Now that is a fascinating essay and what a head turner! If corpses and grotesqueries aren't your thing however, (if not, why are you reading the Book of Jade?!) 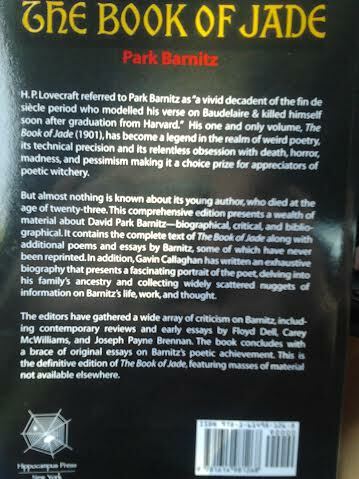 then there are plenty of other fascinating and intriguing essays in this critical edition, such as "I Am Weary of That Lidless Eye": Gazing into the Hegelian Abyss of Subjectivity in the Mad Sonnets of Park Barnitz, by Chuck Caruso, PhD, Renaissance by David E. Shultz, and Gavin Callaghan's Park Barnitz: A Biography. Spectral Realms No. 3 Cover and ToC! Weirdbook Issue #31 ToC and Cover! My Copy of Beyond the Cosmic Veil Arrived!